1. Did people look oppressed? This is by far the most recurring question I have received. 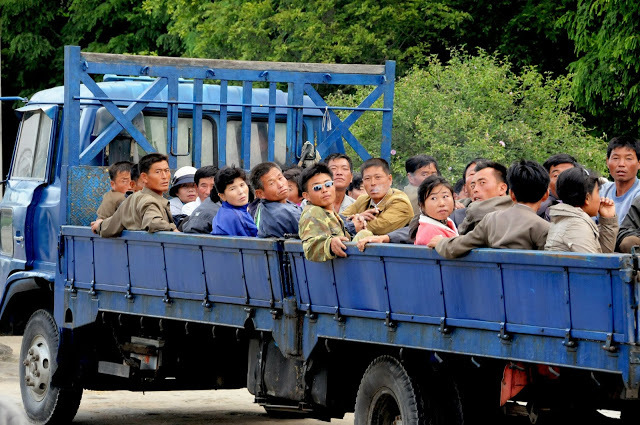 Looking at the news reports from North Korea, it is very easy to conclude that the local people are indeed oppressed. I won’t lecture anyone on the human rights issues in the country – those, too, can be looked up on the internet – but look oppressed North Koreans do not. 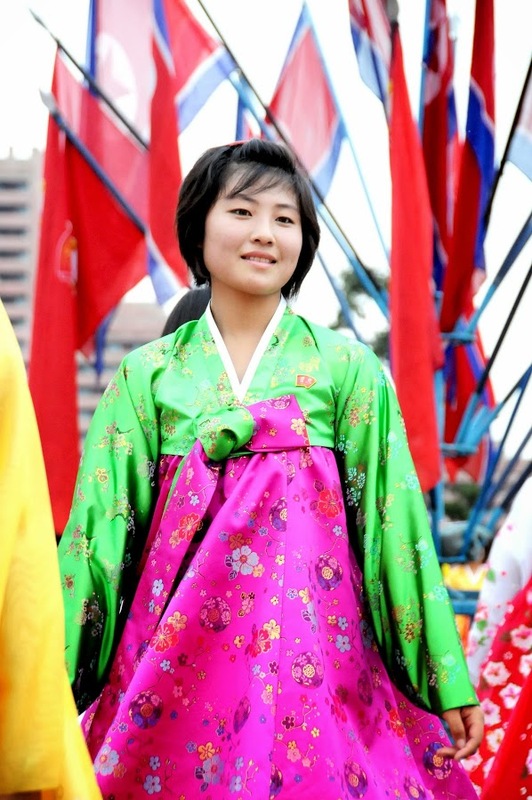 To an unaware outsider, they look like they lead rather normal lives and go about their business in the same way as we do in the West – especially in the capital city of Pyongyang whose residents enjoy many privileges unheard of in the provinces (see below). Just like us, the people of Pyongyang hurry to work, enjoy family picnics in a park, date and give a group of overexcited, frantically waving foreign tourists a hand wave in return. No, I did not discuss sensitive subjects with the locals (politics being one), but I rarely discuss those with my friends elsewhere, too. I am not backing any oppressive regimes but evidence of such, if any, is kept well out of sight of the foreigners who visit North Korea. 2. Did anyone take you to the side to complain about the regime? Absolutely not. 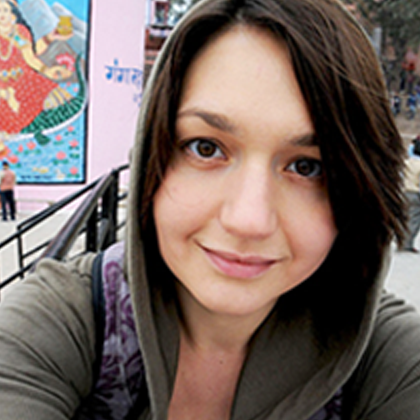 Before travelling to North Korea, I had (rather naively) imagined a country full of people dying for their voice to be heard by free-minded foreigners. It wasn’t long before I understood how wrong this perception was. 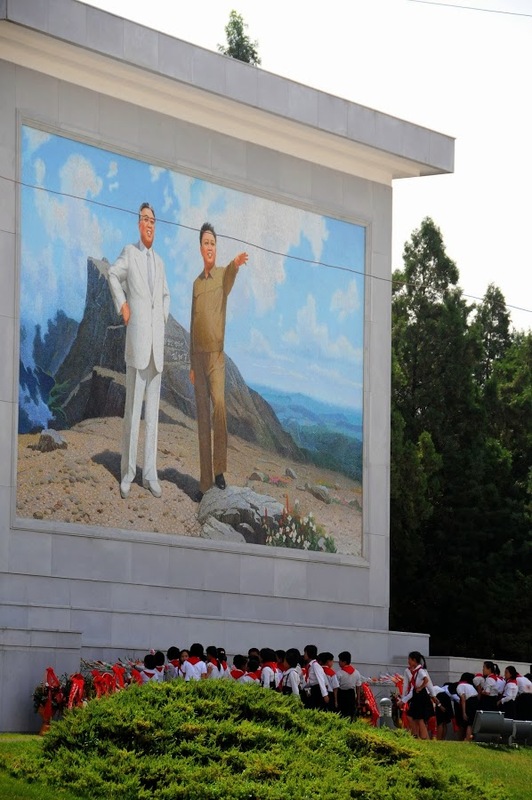 Many people in North Korea give an impression of truly, even passionately, believing in the surrounding ideology. One may argue that many North Koreans still seem to dislike the regime enough to flee the country and become defectors. Those were, however, not the people that we, as foreigners, interacted with. The people we met – mainly local tour guides – could best fall under “middle class”: well educated, well-spoken in English, with access to scarce foreign currency through tourists’ tips and blessed to live in Pyongyang where life is relatively decent. Those North Koreans will think one million times before risking their privileged positions by speaking against the enormous machine that is their regime to idealistic foreigners not even able to help. Those people are also less likely to defect as they have more to lose. 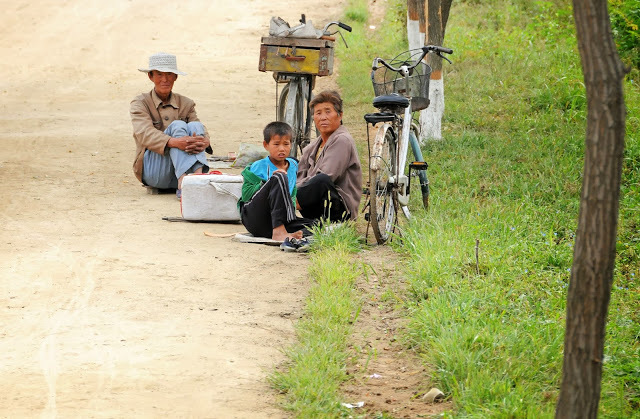 Most of the time, the defectors are from poorer strata of society based along the border with China. Their defections are not as much statements against the regime but rather pursuits of better economic conditions (though it is highly likely that they’d have lost faith in the political system to decide to defect). Needless to say that we did not get to interact with those people. It depends. 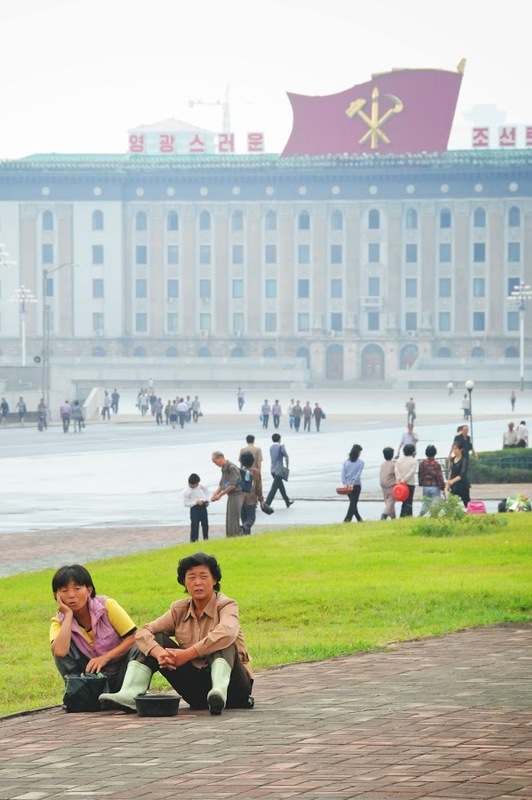 The residents of Pyongyang did not look overtly poor. Neither did they look like they were dying of hunger, though we did not get to see any grocery shops or family homes to confirm. 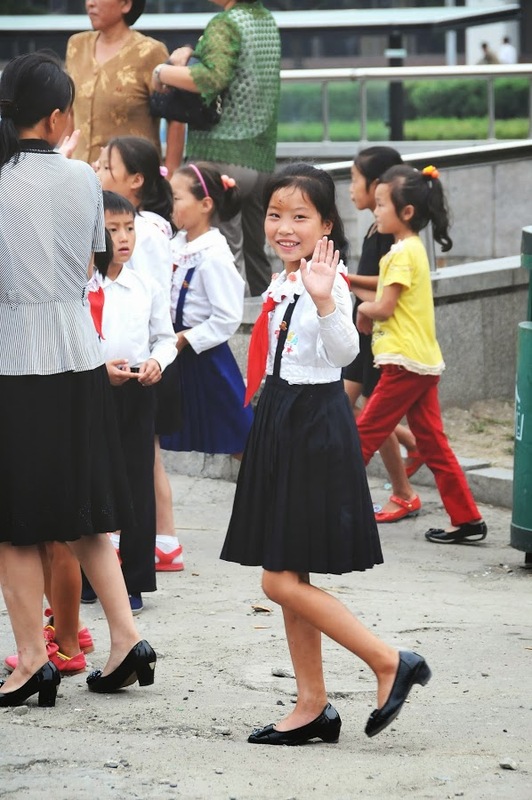 Some residents of Pyongyang had the mandatory uniforms on, but many wore clothes as decent – albeit simple – as we do in the West. I would say an average North Korean woman made more effort to be dressed elegantly (and to look feminine) than her average Western counterpart. Furthermore, the situation is less ambiguous outside Pyongyang. The North Koreans we saw there indeed looked poor and malnourished (we did not see anyone obviously starving though), wore old clothes and seemed to be occupied with only three activities: (i) riding heavily loaded ancient bicycles somewhere (car traffic is almost non-existent outside the capital); (ii) wading along the road with massive backpacks, backs hunched and eyes lowered; and (iii) working in the fields using no tools whatsoever (though sometimes we did see bulls pulling derelict ploughs). We were not allowed to stop anywhere in the countryside (albeit promised so in the itinerary) but many managed to take snaps from the moving bus. Patchily available statistics do not improve the picture for North Korea: the CIA most recently ranked it in the bottom 15% of the world by GDP per capital, adjusted for purchasing power parity. Below North Korea are mostly African nations like DR Congo, Uganda and Tanzania. 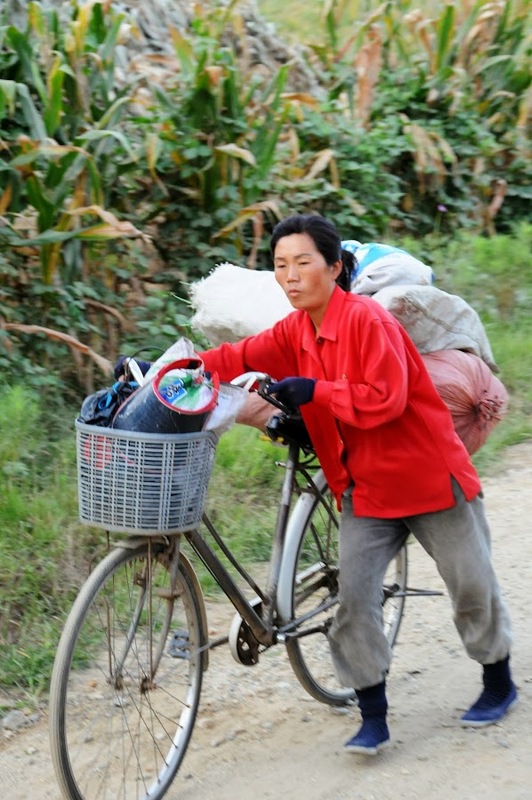 Also note that the average wage in the DPRK is as low as €2 per month and that citizens do not pay rent or utility bills that are instead covered by the state – which also provides the majority of the food supplies through the public distribution system. The citizens of North Korea are thus highly dependent on the state to survive. 4. What do people do in the evenings? On the two occasions when we stayed overnight outside Pyongyang (in Nampo and Pyongsong), we were not allowed out of the hotel premises after dark. Therefore I have little idea about what North Koreans outside the capital do in the evenings. On one of our evenings in Pyongyang, we saw many locals enjoy the recently opened Kaeson Youth Funfair. 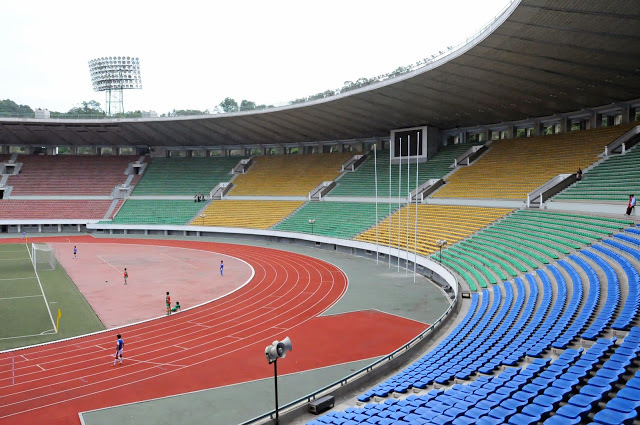 There were some locals at the Kim Il Sung stadium watching a women’s football match (though they were so creepily few in a massive stadium that some of us suggested they had only been brought over for our sakes). We saw a few locals (likely the very privileged members of the so-called cadres) dine alongside us in exclusive foreign-focussed restaurants. 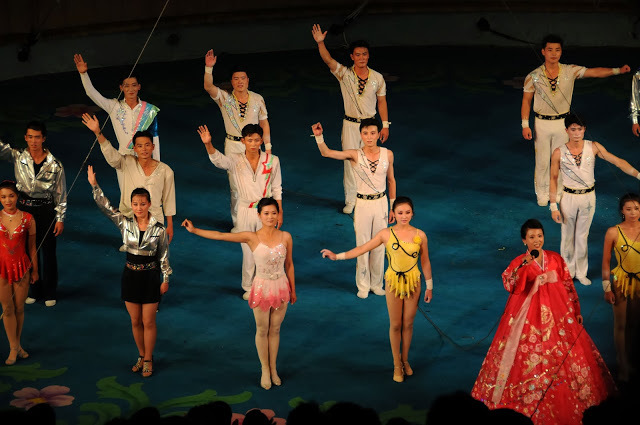 Lots of army officials were spotted at the Pyongyang Military Circus where we enjoyed a most stunning performance. And, needless to say, there were thousands of North Koreans at the Mayday Stadium (the biggest seater stadium in the world) watching the legendary Arirang Mass Games. This has led me to believe that entertainment is available to at least some classes of society in North Korea. What does an average North Korean do in the evening though? It is difficult to say. Probably rehearse to actually perform at all the named acrobatic events and cook all those exclusive restaurant dinners – if they are sufficiently lucky. Or sit around in the dark if they are not – power shortages are widespread in North Korea and, bar extremely well illuminated revolutionary monuments and hotels for foreigners in Pyongyang, most of the country plunges into darkness at night. 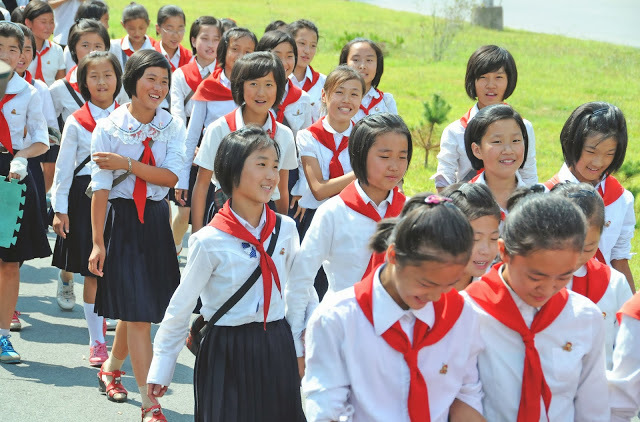 Many of you have asked if the people in North Korea were as happy as they looked on my pictures. 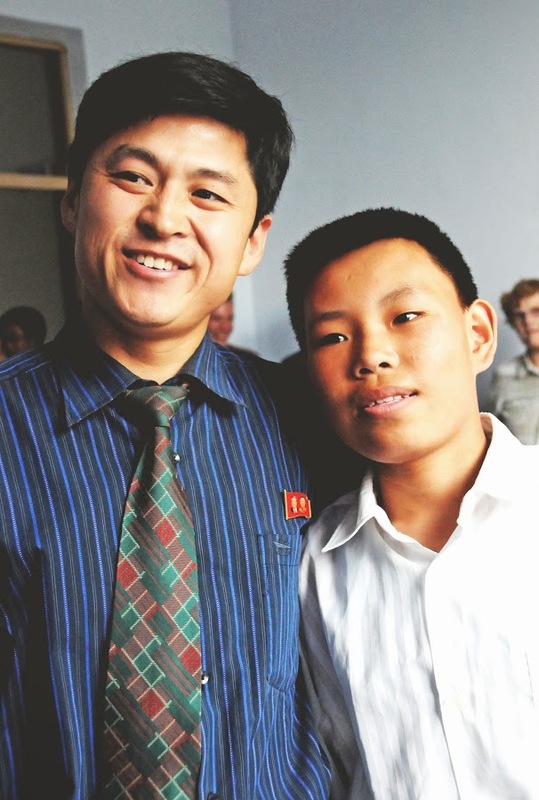 It is difficult to say for sure – but I found that an average North Korean person in Pyongyang actually looked happier than your average Western counterpart. I may be biased seeing many a grim face on a typical London weekday (a fellow cyclist wished me to “get killed” last week). It could also have been for the fact that we witnessed North Korea on a very happy, unique occasion – the National Day, 65th anniversary of the establishment of the DPRK. Regardless of the context, I did spot many more smiles in Pyongyang than I ever did in London, New York, Tokyo or indeed any other megalopolis I have visited. It may have something to do with appreciating the little you have. Or sincerely believing in the reality that surrounds you. It may also be the excitement of a day off on the National Day (a much cherished reward given the DPRK’s 6-day working week). The naïve, smiling foreigners may also have contributed to general entertainment. 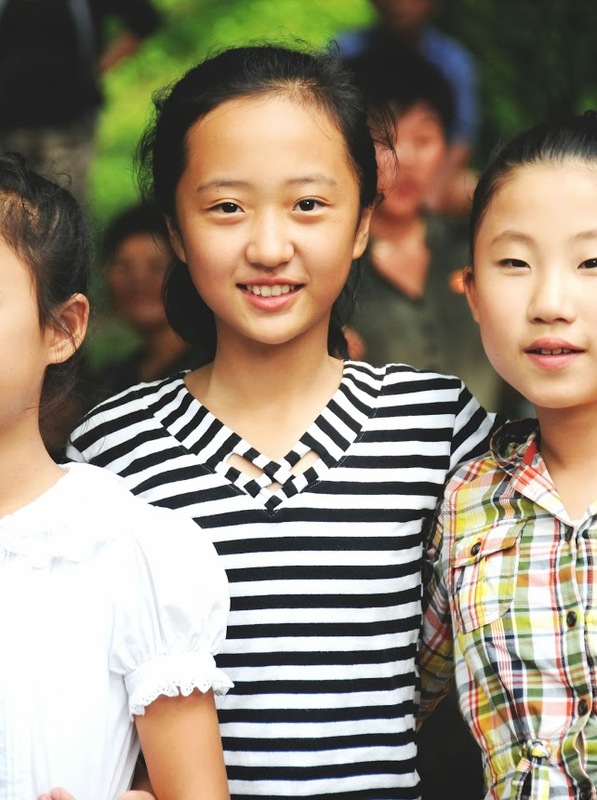 One thing is clear: North Koreans do not always look unhappy or miserable. 6. Does anyone drink alcohol? North Korea is a conservative society and it is considered unbecoming for both men and women to get drunk. However, as I heard from our Beijing-based tour guides (one of whom, a Brit, had just clocked his 126th visit to North Korea), in reality things can be quite different. North Koreans receive several litres of beer per month in rations from the state; men apparently head straight from work to bars on some days. 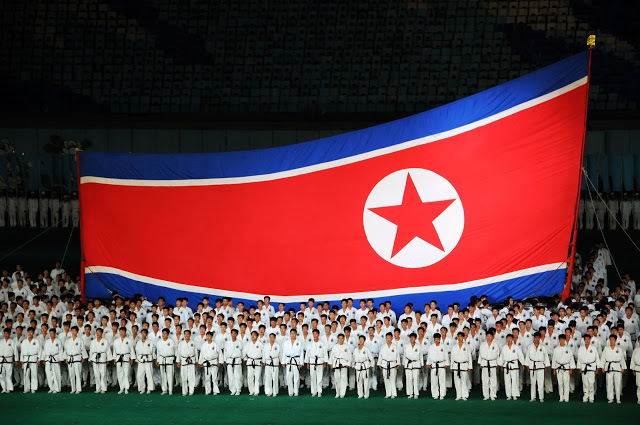 On numerous festive days of national importance (such as the Kims’ birthdays, Victory day, Liberation day and the like) extra rations are distributed, and drinking turns into a sort of a national sport. Beer and soju (rice wine) are the favourites along with locally brewed vodka (which I can confirm is excellent). Home-made spirits also exist. Although I heard of alcoholism being a problem, I also felt that ordinary North Koreans tend to drink in moderation – possibly because they cannot afford to indulge. Highly ranked officials with access to Chinese and Western alcohol are a different story. I spotted such officials at Beijing airport just before departing to Pyongyang – wearing identical black suits, white shirts, ties and the mandatory Kim badges, they were each pushing a trolley loaded with duty free (there are no quantity restrictions). Ironically though, the only drunk person I saw on the entire trip in North Korea was an American: a former military chap sporting a huge ginger beard and a freshly tailored suit a-la Kim Jong-Il. North Koreans looked on in sympathy as the man in question made unambiguous advances towards the few foreign females still awake that night. Whoever thought their society was a little eccentric. 7. Do locals love their leader? Let’s get our leaders straight first. 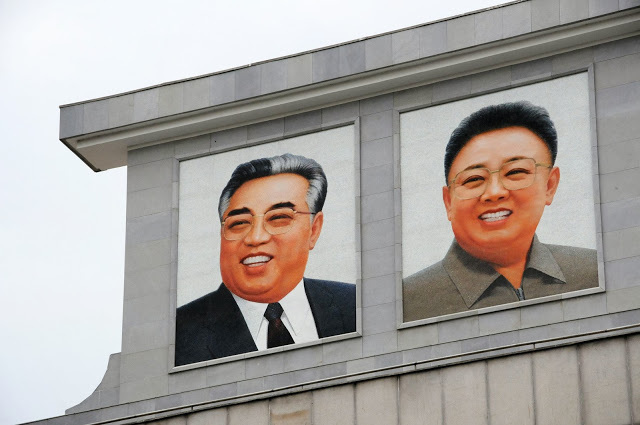 First there is Kim Il-Sung, North Korea’s “Eternal President” and “Great Leader” who ruled the country in 1948-1994. Then there is his son Kim Jong-Il (“Supreme Leader”) who lasted a bit less (blame the reportedly unhealthy lifestyle, perhaps) and presided over the country in 1994-2011. The current leader of North Korea is the Eternal President’s grandson, Kim Jong-Un, who is also known as the “Supreme Commander”. 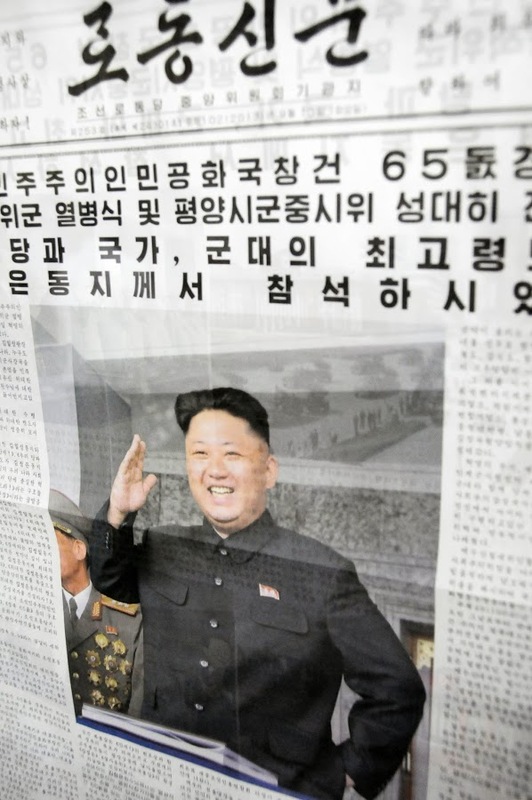 It is difficult to say if North Koreans truly love any one of their leaders. People wept loudly during public mourning for both Kim Il-Sung and Kim Jong-Il but it isn’t like they had much choice – the authorities’ men kept a close watch over the mourners, with those noticed not to be mournful enough facing persecution. Some North Koreans take an enormous risk trying to flee the country, meaning they have likely been disenchanted with the regime and its leaders. There are of course supporters as the regime has prevailed for 60 years and already several generations do not know any better. The machine of the regime also seems shrewd enough to mark leader-related occasions with great pomp and festiveness, thus turning them into massive celebrations. 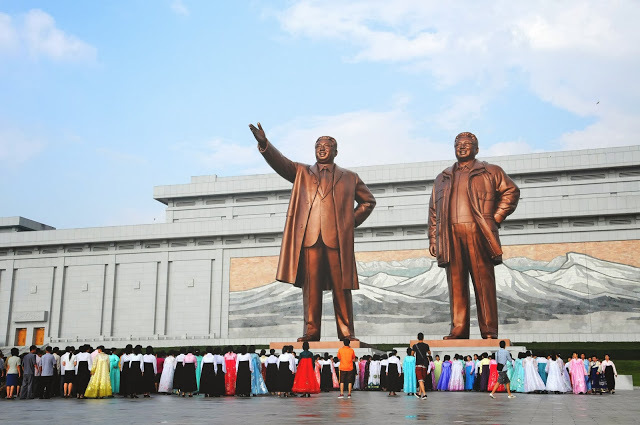 Thousands of people assemble by the statues of Kim Il-Sung and Kim Jong-Il at the Mansudae Grand Monument daily to bow and lay flowers. Equally many visit the Kumsusan Memorial Palace of the Sun (the mausoleum where the two departed leaders rest) to pay tribute and admire the might of the country the leaders allegedly created. It is likely that many of those visitors wholeheartedly believe in what they are doing. It is also likely that many do not. 8. Does anyone speak English? Very few people speak English. This is changing as English is now part of the school curriculum (following the old “know your enemy” tactic – in the Soviet Union schools predominantly taught German). 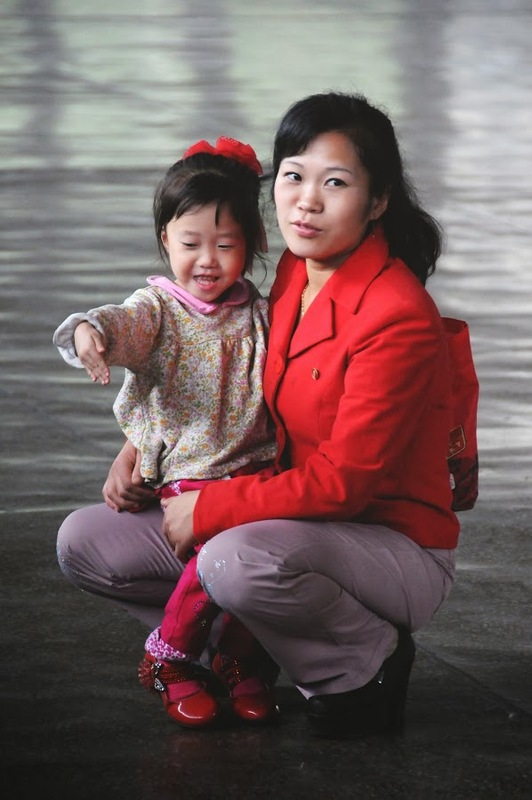 Like with most things, residents of Pyongyang have much better access to teachers of English and language learning materials than in the provinces. Furthermore, people specifically trained to work with foreigners, such as tour guides employed by the KITC, speak very good English. Older Koreans speak Japanese, the knowledge of which was mandatory during the Japanese occupation of the Korean peninsula during 1910-1945. I got an impression that Chinese Mandarin is rather widely spoken in North Korea, especially by those involved in tourism (Note: as of 9 August 2013 all Chinese tours to North Korea are suspended indefinitely, officially due to the mounting tensions on the Korean peninsula, and in reality likely due to China’s irritation with North Korea’s series of childish stand-offs). 9. Can North Koreans travel outside the country? Officially every North Korean citizen can travel abroad having obtained permission to do so. Obtaining permission is off limits for most people though, and, in reality, the majority would not want to be known to have applied for one – doing so is a sure way of getting into the “bad books”. 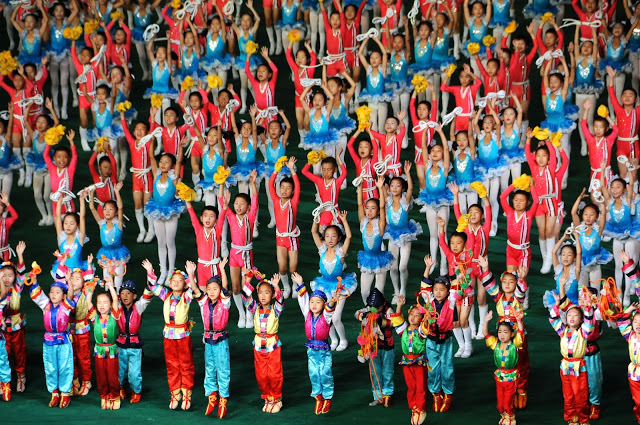 There are more North Koreans outside the country (legally) than many Westerners think. 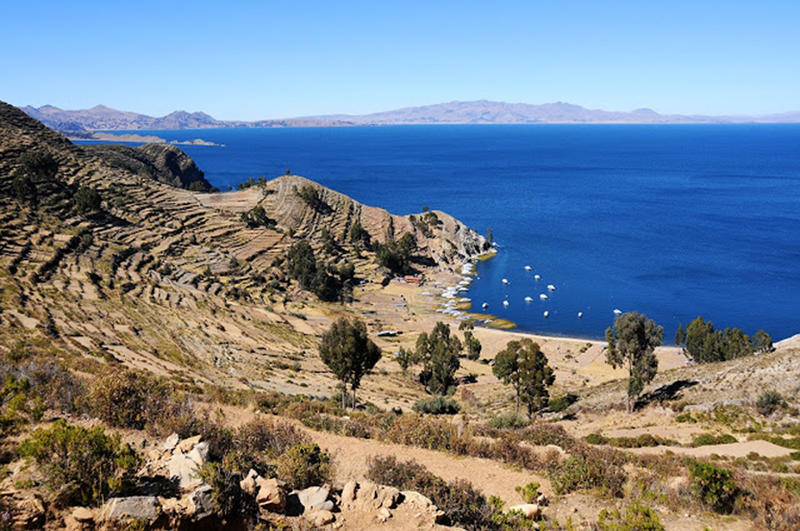 They work as diplomats, businessmen, waitresses, etc – the difference is that they almost never get to choose their destination, instead being sent there on government orders. The few that travel by their own will do so illegally and predominantly go to China.